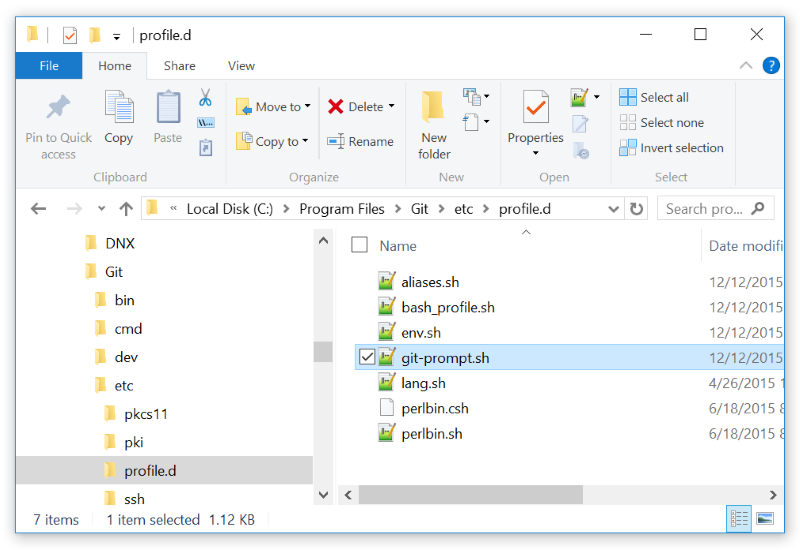 Have you upgraded to the latest version of Git for Windows and found the default prompt to be a bit annoying with the new added and useless “MINGW32” or “MINGW64”? Perhaps you don’t like how it has the username@hostname or maybe just the color scheme. 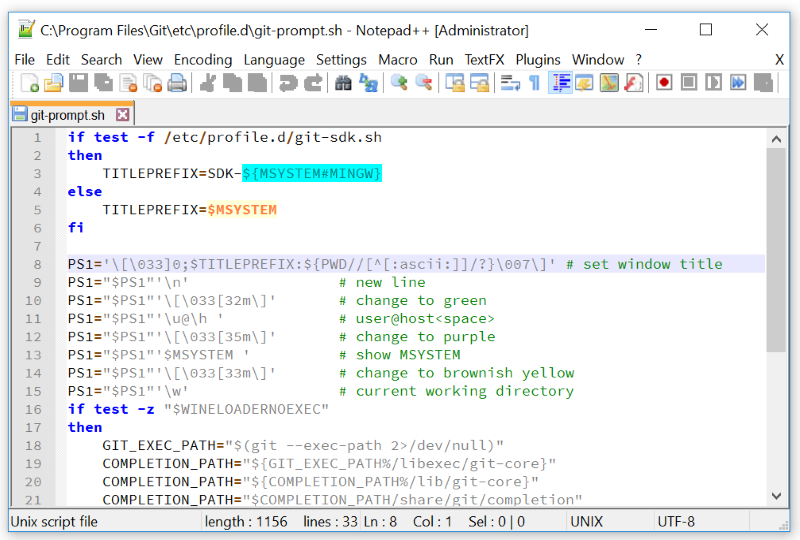 I will show you how you can change the prompt in Git for Windows very easily! 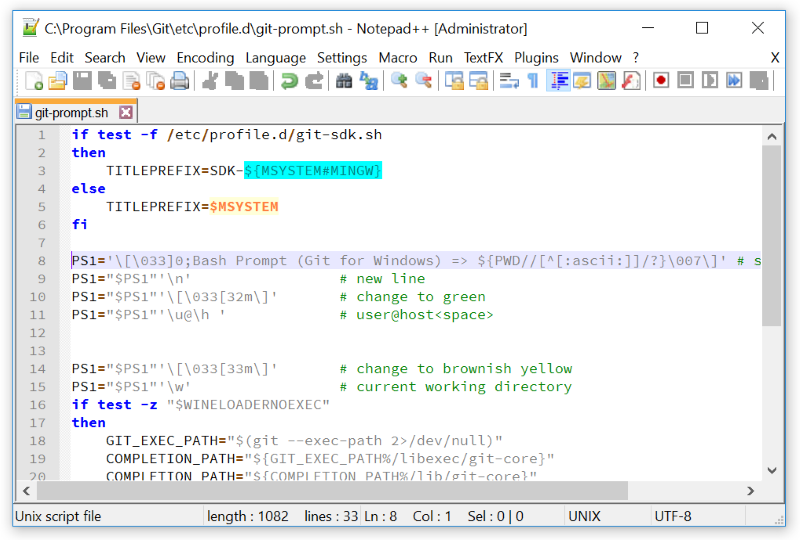 The Git for Windows Bash prompt is set using a configuration shell script named git-prompt.sh that can be found in the following directory. Using a text editor that supports unix style files, such as Notepad++, open the file and you will find something that looks like this. You will find several lines that can be altered to change the configuration of the shell prompt. 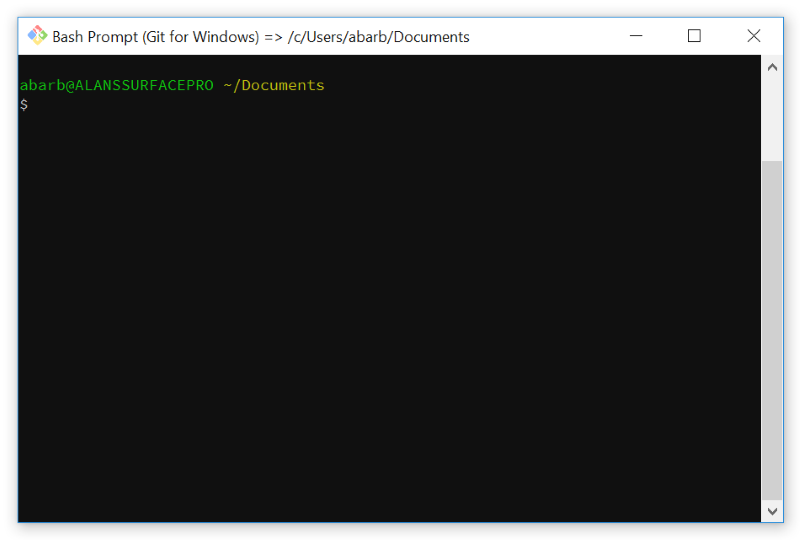 After you have saved your changes you can re-open up the bash window and you should find that your prompt now looks like this.